Anaha at Ward Village Welcomes First Residents — Jack Tyrrell & Company Jack Tyrrell specializes in Kakaako, Honolulu, Hawaii luxury condo projects. Anaha has officially welcomed its first residents! It was an honor to join The Howard Hughes Corporation team, Anaha's new homeowners, and our friend and clients for the blessing ceremony, which was beautifully led by Kumu Hina. 97% of the 317 units in Anaha have already been sold, but please contact us for our listing, which are some of the best and most desirable in the building. 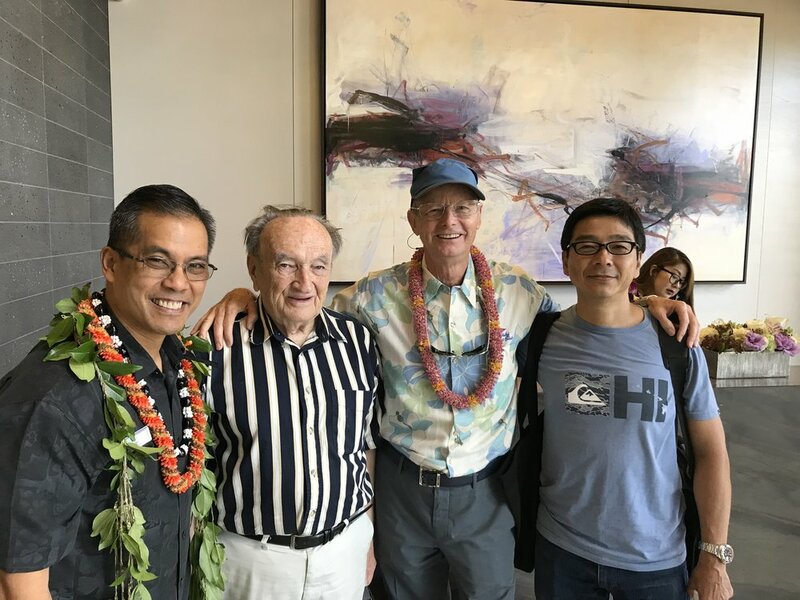 HONOLULU--(BUSINESS WIRE)--The Howard Hughes Corporation® (NYSE: HHC) announced today that it has begun welcoming residents to Anaha®, the second residential tower to be delivered in Ward Village®, the 60-acre coastal master planned community located in the heart of Honolulu. Named “Best-Planned Community in the United States” by Architectural Digest, Ward Village includes a thoughtfully curated mix of retail and dining experiences set among dynamic public open spaces and walkable streets. The milestone was celebrated with a traditional Hawaiian blessing ceremony. Upon completion, the community will supply over 4,500 new residences in a market where the availability of new housing continues to fall short of demand. To date, the community has contracted to sell more than 1,200 residences, including 97% of Anaha’s 317 homes. Designed by Chicago-based Solomon Cordwell Buenz in partnership with Honolulu-based Benjamin Woo Architects, the building is home to a diverse range of stylish residences and well-appointed amenities. Residents of Anaha will be able to enjoy an ocean-view glass bottom pool, state-of-the-art fitness center, a tennis court, a beach volleyball court, a library, an auditorium style movie theater, lounge areas, barbecue cabanas, private dining rooms, a wellness center, a putting green, a dog park, and a keiki play area. The Information Center and Residential Sales Gallery is located at the iconic IBM Building at 1240 Ala Moana Blvd. For more information, visit www.wardvillage.com. Developed by The Howard Hughes Corporation®, Ward Village is a new 60-acre coastal master-planned community in the heart of Honolulu between downtown and Waikiki in the Kaka'ako district that upon completion will include more than 4,500 homes and 1 million square feet of retail. Ward Village is at the forefront of sustainable community development, integrating architecture, local culture, and public space. New tree-lined sidewalks and bike lanes provide access to an over 100-acre public beach park and the Kewalo Harbor. Ward Village includes mixed-use residential towers—Waiea®, Anaha®, Ae`o®, Ke Kilohana, and Gateway Towers —that are transforming the popular shopping and dining district into a vibrant neighborhood that offers residences island and ocean views and a thoughtfully curated mix of retail experiences set among walkable open spaces. The most recently approved project, 'A'ali'i will continue to expand the selection of new homes at Ward Village and sit at the top of the Central Plaza which will serve as a key public gathering and activation space for the community. Art and culture play an integral role at Ward Village, home of the inaugural Honolulu Biennial, which launched in 2017. Public art is highlighted throughout the neighborhood, including large-scale wall murals, sculptures and locally-inspired exhibits. Ward Village is Hawai‘i’s only LEED-ND Platinum-Certified project and is the largest neighborhood development in the country to receive such a prestigious certification. For more information, visit www.wardvillage.com.